I gave a talk at UC Berkeley called Design, Games, & Game Design (feat. 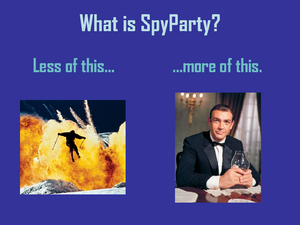 SpyParty). It was for the UC Berkeley School of Information's Design Futures Lecture Series, and I was invited by the excellent Elizabeth Goodman. 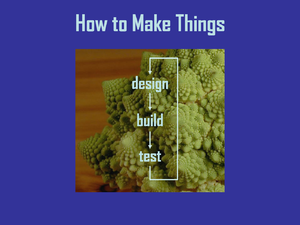 I talked about the basic design → build → test loop, and how I don't think you can separate out the design and build steps if you're making something deep and new and (especially) interactive. I mentioned how Valve doesn't hire single-discipline designers for this reason. 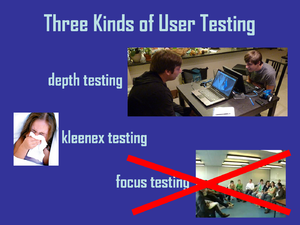 I went over three kinds of user tests, depth testing, kleenex testing, and focus testing, and how you should never do the last one of those. I talked about Metrics Fetishism again; since this was a Design talk, it seemed appropriate. I lauded Ico's hand holding mechanic, again. I whipped out the Korean characters for Gosu, 고수. I outlined two approaches to creating games with more emotional depth: top-down and bottom-up, and I discussed why I think bottom-up is a better approach. 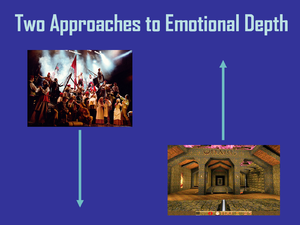 Games need to be able to communicate with players using a wider and deeper set of emotions. Just like film and music communicate emotionally in completely different ways, but are both incredibly deep, I think games will be as different from other art and entertainment forms as they are from each other, but we have a long way to go. I answered questions for longer than the actual lecture! And, I talked more about the Blizzard-inspired Depth-first, Accessibility-later development model I'm following, including forcing people to read the four-page instruction manual before they can play. Here are the raw ppt and mp3. 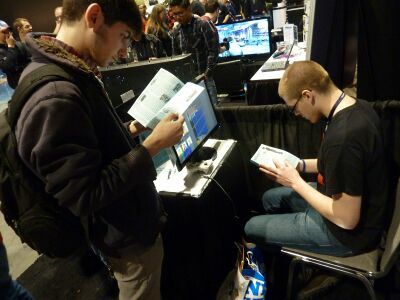 Also, Tom Curtis was there and wrote about the lecture at Gamasutra. I posted a link to this page on the SpyParty blog, which support comments, so you can head over there if you have something to say about the talk. This page was last modified on 11 August 2011, at 00:02.